The Leica M10-P is a follow-up to 2017’s M10. It is not designed to replace the older model, but rather, sit alongside it as an alternative option. It shares many of the same specifications as its predecessor, including the same sensor and processor, and same overall body design, with a few tweaks which are particularly geared towards making it more appealing as a street photography camera. First up is the addition of a “quiet” shutter, which is noticeably more discreet than that found on the M10. The iconic Leica red dot, from the front of the camera, has also been removed in a bid to reduce attention towards the camera. 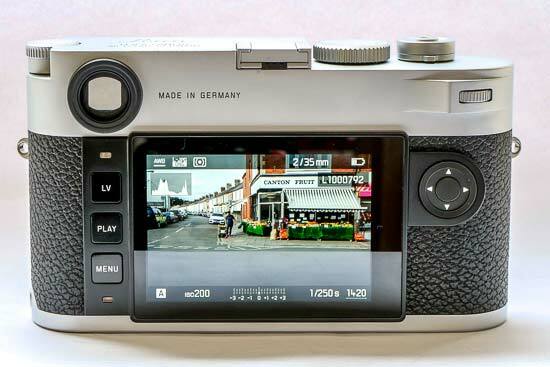 The rear screen on the back of the M10-P is now touch-sensitive, while a guide level has also been added (when shooting in Live View, or via the optional additional electronic viewfinder). 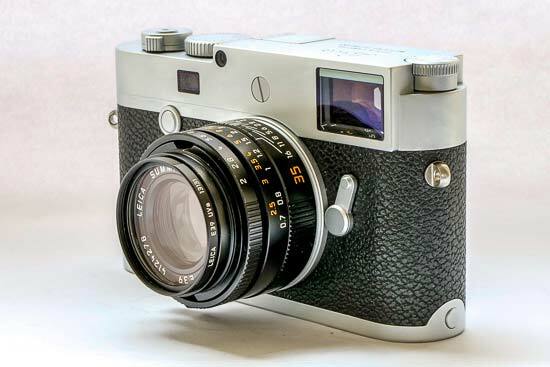 As this is a Leica, don’t expect to pick up a bargain here – the M10-P will set you back £6,500 (body only), while the standard M10 remains on sale for around £5,850. Leica has used the same design and materials for the M10-P as for the older M10, which means it has a brass and magnesium alloy body. 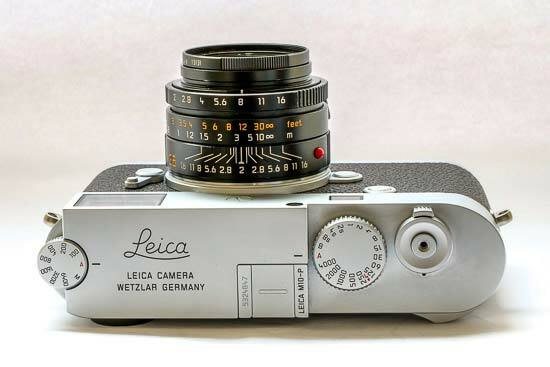 The result is something which has the classic good looks of a Leica, as well as feeling extremely solid and well-built. It’s a little on the heavy side, but if used in conjunction with one of Leica’s smaller “M” lenses, the overall weight is not too bad. This is by no means a pocket camera, but you should be able to fit the M10-P into a small bag, ready to bring out for street shooting when you need it. One of the most noticeable design differences between the M10 and the M10-P is the removal of the iconic red dot from the front of the camera – but if you’re at all worried that people won’t know you’ve got a Leica, just flip to the top plate to see the large LEICA engraving to reassure you. 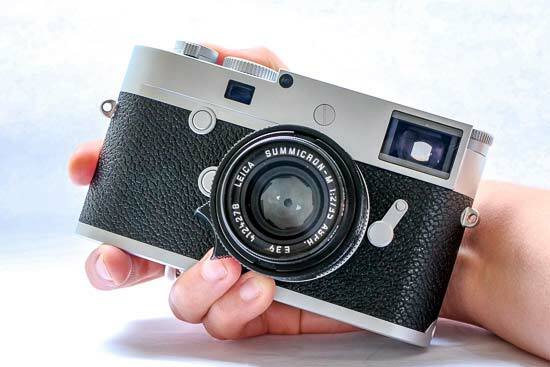 The Leica M10-P is a rangefinder, which means it is manual focus only. In a world where autofocus, and autofocus speeds, are king, getting used to this rather old-fashioned way of working can take quite a bit of time to get used to. Add in the unusual way in which you focus a rangefinder lens, and it can all feel completely alien to the uninitiated. In order to focus a rangefinder lens, you look through the viewfinder, lining up the image you see in a central box with the image superimposed on top of it by twisting a ring on the lens you’re using. Once the outlines match, hit the shutter release and you should have created an image which is perfectly in focus. There are a couple of problems here – first of all, if anything is on the outer edge of the frame, it’s difficult to judge the focus, and second of all, if you’re photographing a subject which appears on a fussy background, it can be hard to distinguish what’s happening in the viewfinder. One way around this is to use the M10-P’s Live View capability. With this, you can take advantage of an enlarged view and focus peaking to make it easier to get your shot in focus. When you’ve been using a rangefinder for a long time, it also starts to become a little more intuitive as to where to stand at what focal length to achieve good focus. Speaking of the viewfinder, this is the same finder as you’ll find on the original M10, which was an improved version of the one found on the M Typ 240. It has a magnification factor of 0.73x, while its design means that the widest focal length it covers is 28mm, meaning you’ll need to use the LCD screen, or the optional EVF if you’re working with wider lenses. The overall design of the M10-P, like the original M10, is extremely minimalist. There are just a few dials and buttons, but there is pretty much everything you need to take most shots. On the top plate there’s a shutter speed dial, which contains speeds from 1/4000 – 8 seconds, as well as offering the choice of “Bulb”. You can also leave it in the “auto” position, to have the camera work out shutter speed for you. A secondary, smaller dial can be used for adjusting ISO speed – but you’ll first need to lift the dial before you can twist it around – a design which prevents accidental unwanted changes. Again, you can also leave it in the automatic setting to have the camera work out the relevant ISO speed for you. The dial only shows ISO 100 – 6400, so if you want to use a higher ISO value, you’ll need to set the dial to “M” and choose a higher value in the main menu. Aperture is controlled via the lens itself – we have been using the M10-P with a 35mm f/2.0 Summicron M lens, on which the aperture dial allows you to choose full and half stops between f/2.0 and f/16. 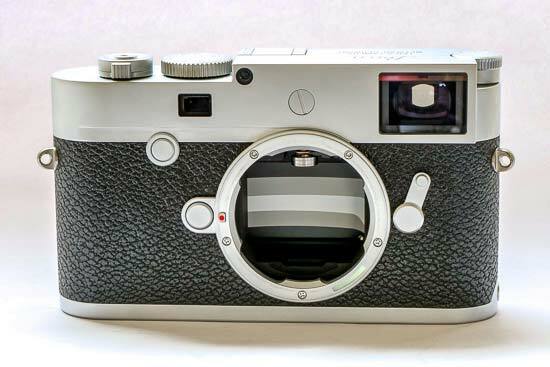 Head to the back of the Leica M10-P and you’ll find just three buttons alongside the new touch-sensitive screen. These buttons are “LV” for switching on Live View, “PLAY” for seeing your images in playback, and “MENU”, where you can access further settings that are not available through the camera’s dials. When you press the menu button, you’ll see a list of favourites – you can customise this list to include all the settings that you use most frequently. To the right of the screen is a four way navigational dial. You can use this in conjunction with Live View to set the area where you want to examine critical focus, as well as using it for navigating around your images in playback and around the menus. Lastly, there’s a small scrolling dial, which you can use to adjust exposure compensation by default. Adding touch functionality to the screen is one of the new features that the M10-P brings over its predecessor. 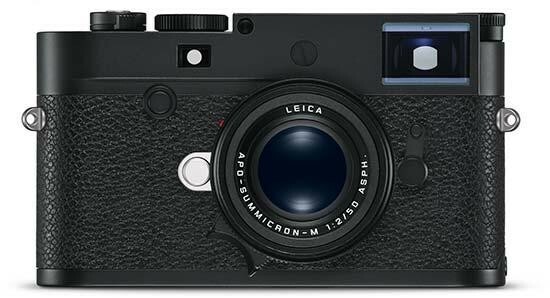 Leica says that adding touch sensitivity to an M series camera may be shocking to some, but it’s a relatively discreet addition that can be completely ignored in favour of using the buttons if you prefer. With the touchscreen you can pinch to zoom, double-tap to quickly zoom in to check critical focus, and swipe between shots. In Live View, you can tap around the screen to choose a magnification point, or double tap to quickly jump to the magnified view. Another new feature relating to the screen is the addition of a spirit level, or virtual horizon. This can be very useful in helping to ensure your shots are straight, but is not something that can be used with the optical viewfinder. If you choose to purchase the optional electronic finder, the level can be displayed in that. In a nod to Leica M film cameras, the entire base plate comes off the camera – just as it would when you needed to insert new 35mm film. These days, you’ll find the camera battery and the SD memory card slot underneath the base plate. It’s a cute idea, but it’s a little bit of a faff if you need to quickly change the memory card. A warning is displayed on screen should you accidentally forget to replace the base plate. Just like the original M10, the Leica M10-P has inbuilt Wi-Fi. With it, you can connect wirelessly to a smartphone or tablet. With Leica’s app you can transfer your images and remotely control the camera.